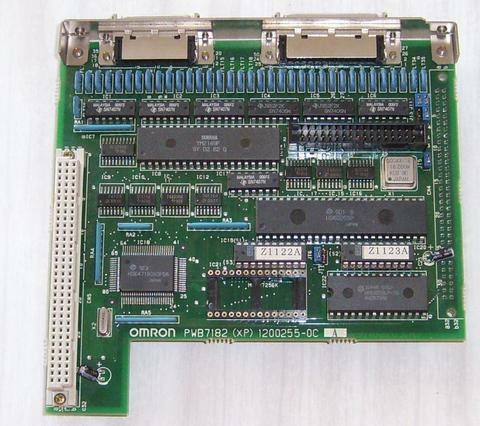 Being a workstation collector, and having also been deeply involved in getting modern operating systems to run on Motorola 88000 family-based hardware, it was perfectly natural for me to search for a Luna-88k workstation. Needless to say, these don't show up on eBay or craigslist. Not even once in a blue moon: they never show up. People owning the few Luna-88k systems left which haven't been scrapped, cling to them like dragons to their treasures. So it was no surprise that I could not find such a machine. Fortunately, some 88000 hobbyists have been able to convince Jeff McMahill of CMU to part with one of the few Luna-88k systems he had saved, and have it shipped to my place. The delivering company left the parcel in front of my door while I was away for a few days, put a fake signature on the delivery receipt, and went away. When I came back two days later, it had been raining cats and dogs but, fortunately, the parcel had been mostly safe from the rain and the machine inside was undamaged. What a relief! It turns out that this was not a production machine; the serial number on the back is handwritten prototype #23. 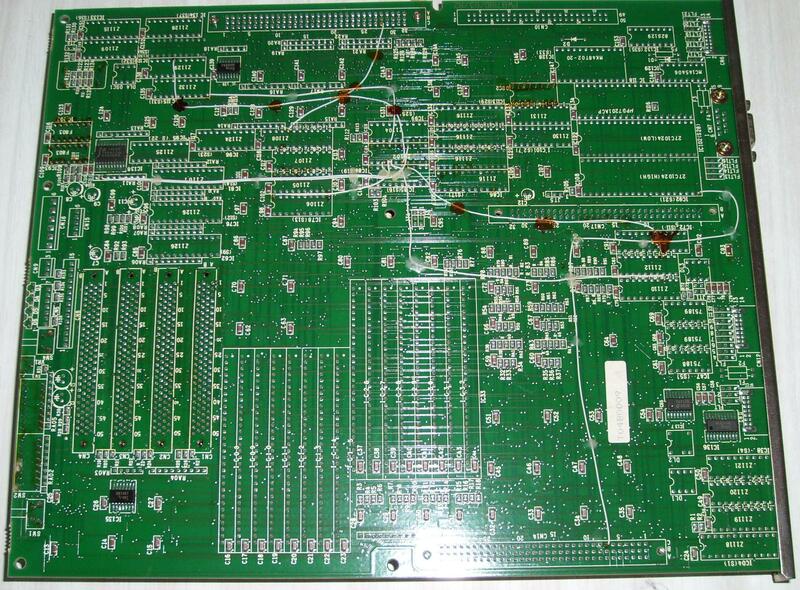 It is probably very close to the original Luna-88k models, except for the lack of the C-Bus slot (which I am not sure was present on the 8840 models - it might have been reintroduced with the 8860). I should take pictures of the workstation enclosure eventually. 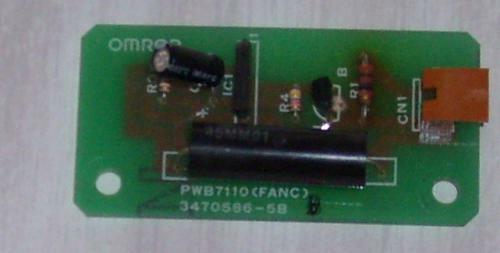 All the pictures I have taken so far are of its internals. A processor board. There could be either 1, 2 or 4 processors in the machine (although there is no reason a 3-processor configuration couldn't run, they were just not on the sales list). 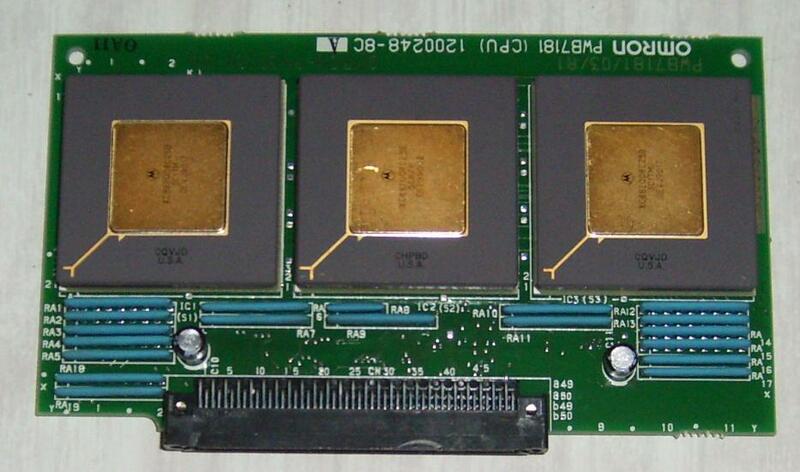 Each 88100 processor comes with two 88200 cache and MMU chips, one for the instruction, one for the data. The 4-bit frame buffer. I am told the 8-bit frame buffer looks exactly the same, using higher capacity memory chips. 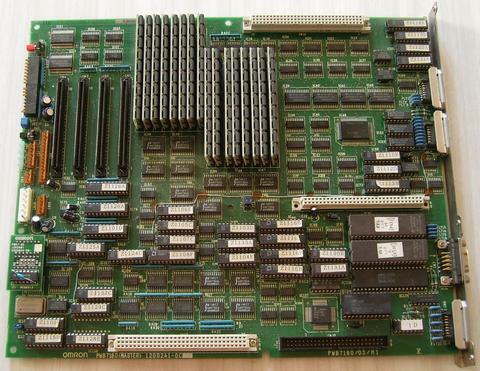 The supplemental I/O board. It adds an extra serial port, a parallel port, and sound chip, behind a 8051 clone. And an ubiquitous floppy disk controller. There is a thermal sensor placed near the processors, which will increase the speed of the power supply fan when the temperature rises. Apparently this is a very simple setup where the fan can run at two speeds only: slow and quiet when the machine is mostly idle, and fast and not so quiet when the processors are producing a lot of heat. With the way everything is crammed into a case with no real airflow but the forced exhaust through the power supply, it is not surprising... and necessary for the electronics to not melt when the processors are busy! 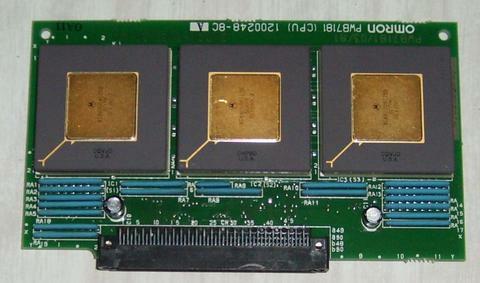 The serial port connectors on Luna-88k systems are not common DB9 ports, but rather those used in the earlier Luna workstations. 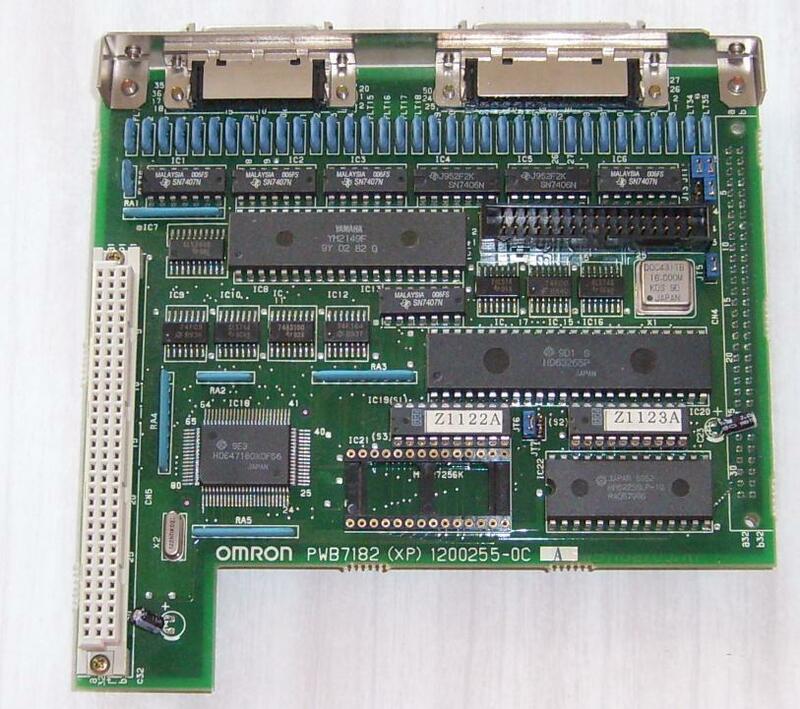 Only the Luna-88k 2 has `regular' DB9 serial ports. 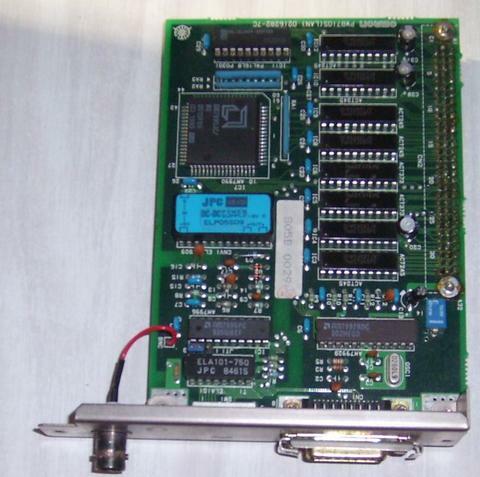 As researched by Jeff McMahill, the LUNA-88K serial ports use Micro 70 Hirose connectors. The outlet on the LUNA-88K is ref. QM10-14R(L)-PR; a matching cable would match either QM30-14PA-EP IDC Plug with a QM14-CS cover with locking latches, or a QM30-14P-EP IDC Plug with a QM14-CV cover without locks. For the record, pin assignment can be found here (local copy of http://www.kk.iij4u.or.jp/~taokamur/luna68k/serial.jpg). Narrative and pictures (c) copyright 2012, 2016, Miod Vallat.